craiglarotondaTONIGHT! 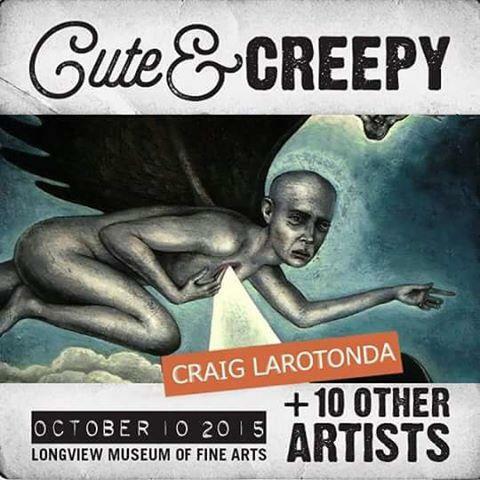 If you are in Texas don't miss the Cute & Creepy Show at the Longview Museum of Fine Arts. I have a few pieces in the exhibit along with artists Carrie Ann Baade, Scott G. Brooks, Michael Brown, Laurie Hogin, Mark Hosford, Robert Jessup Steven Kenny, Brandon Maldonado, Chris Mars and Chet Zar. Curated by Carrie Ann Baade. More about Craig at Facebook : recent works, exhibitions and collectors.